Who invented Email? The name of the person credited with inventing Email is Ray Tomlinson (1941 - 2016). Ray Tomlinson is not only famous as the American inventor but also as a computer programmer and engineer. When was Email invented? Ray Tomlinson invented Email in 1971 on the ARPANET system, the precursor to the Internet. The invention of Email during the Technology and Information Age of inventions originated in America and is considered a far-reaching achievement to the field of Communications and Information. Definition of Email: Email (electronic mail) is defined as a system of world-wide electronic communication for sending and receiving messages electronically over a computer network from one terminal to another. Fact 1: Who invented Email? Email was invented by Ray Tomlinson in 1971 during the Technology and Information Age of inventions which was a tremendous addition to advancements made in the area of Communications and Information. Fact 2: Who invented Email? Prior to the invention of Email in 1971, written communications were slower. The options were to send letters or telegrams. Such methods could be affected by bad weather or postal strikes. Fact 3: Who invented Email? The inventor of Email, Ray Tomlinson, was born on April 23, 1941 in Amsterdam, New York, United States and died on March 5, 2016. Fact 4: Who invented Email? Ray Tomlinson was motivated to such a degree that he was destined to achieve distinction as the American inventor of Email. Fact 5: Who invented Email? The early years of Ray Tomlinson were spent in Amsterdam, New York, United States where he was raised by his family. Ray Tomlinson was educated at Massachusetts Institute of Technology (MIT) and Rensselaer Polytechnic Institute and received a bachelor's degree in electrical engineering.. Fact 6: Who invented Email? Following his education his first job was in 1967 with an innovative technology company called Bolt, Beranek and Newman (BBN) where he worked on the TENEX operating system and the ARPANET core networking protocols called the Network Control Program (NCP) which enabled scientists and researchers at different sites to share software. Whilst working at BBN Ray Tomlinson also worked on the development of Telenet which would be become the first commercial version of the ARPANET. Fact 7: Who invented Email? ARPANET (Advanced Research Projects Agency Network) was the original name of the Internet and was funded by the United States Department of Defense. Fact 8: Who invented Email? Ray Tomlinson invented Email in 1971. His invention came about due to emergence of the Internet and the development of computer networks. At this point electronic messages could only be sent to users of the same computer. This caused a huge problem once computers began to talk to each other over network. Fact 9: Who invented Email? The invention of Email and Ray Tomlinson's concept was to develop a system that would indicate an address - just like the conventional postal system. Fact 10: Who invented Email? Working at BNN, Ray Tomlinson had looked at two programs called SNDMSG and READMAIL which allowed users to leave messages for one another on the same machine. He developed the idea of combining these programs with a third program called CYPNET, which allowed users to send and receive files between computers. The combination of these three programs led to the invention of Email. Fact 11: Who invented Email? Ray Tomlinson needed a symbol to indicate where a message was to be sent and chose the @ symbol on his computer keyboard. Fact 12: Who invented Email? The @ symbol derived from quick way of writing the Latin word "ad", meaning ‘at’. The @ symbol was read out loud as 'at' and originally used as an abbreviation by accountants on invoices to mean "at a rate of" (for example, 5 items @ $2.95).. Fact 13: Who invented Email? Ray Tomlinson used the @ symbol to indicate electronic mail addresses. It was simply a matter of nominating the name-of-the-user@name-of-the-computer. The @ symbol separated the user name from the machine name. Fact 14: Who invented Email? Ray Tomlinson sent the first Email as a test to himself and it did not seem important to keep a copy. The first message was sent through the ARPANET between two machines that were literally side by side. When asked about the content of the first email message Ray Tomlinson said it was "something like QWERTYUIOP" (the top row of letter characters on a computer keyboard. Fact 15: Who invented Email? Ray Tomlinson went on to inform all ARPANET users of the availability of the new 'electronic mail' providing instructions on how to address mail to another user by using the convention - users-log-in-name @ host-computer-name. This convention is still the basis of e-mail to this day. Fact 16: Who invented Email? After the initial invention of Email by Ray Tomlinson other features were added to the electronic mail system including indexing, the ability to delete or forward messages. Fact 17: Who invented Email? Internet pioneer Jon Postel was one of the first users of the new Email system which he described as a "nice hack". In 1984 Jon Postel, together with Paul Mockapetris, went on to invent the concept of "Domain Names" requiring "Domain Name Servers". Fact 18: Who invented Email? 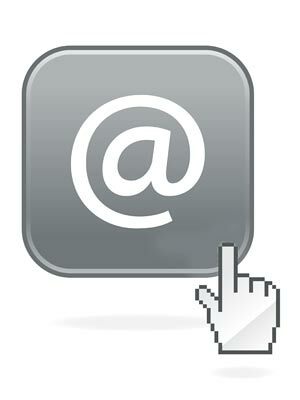 The invention of Email revolutionized communications. Ray Tomlinson did not patent his invention of Email nor did he receive any financial rewards for his invention. But he did achieve fame and recognition. Fact 19: Who invented Email? Ray Tomlinson died from a heart attack on March 5, 2016 at his home in Lincoln, Massachusetts. Fact 20 - Impact: How did Email impact the world? The impact of the invention of the electronic mail system marked an historic moment in the evolution of communication and a paramount step to improving the field of Communications and Information.